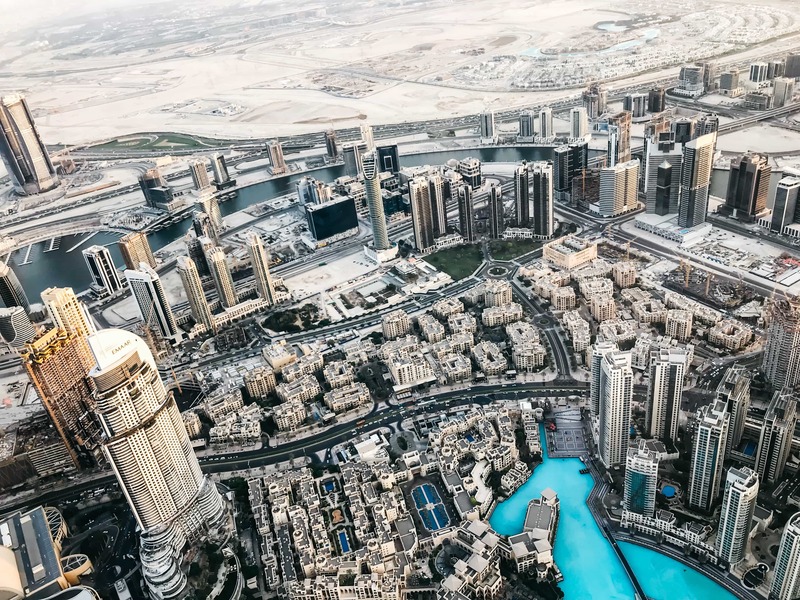 Famed as the “tallest man-made building in the world,” the Burj Khalifa is bound to astound you. 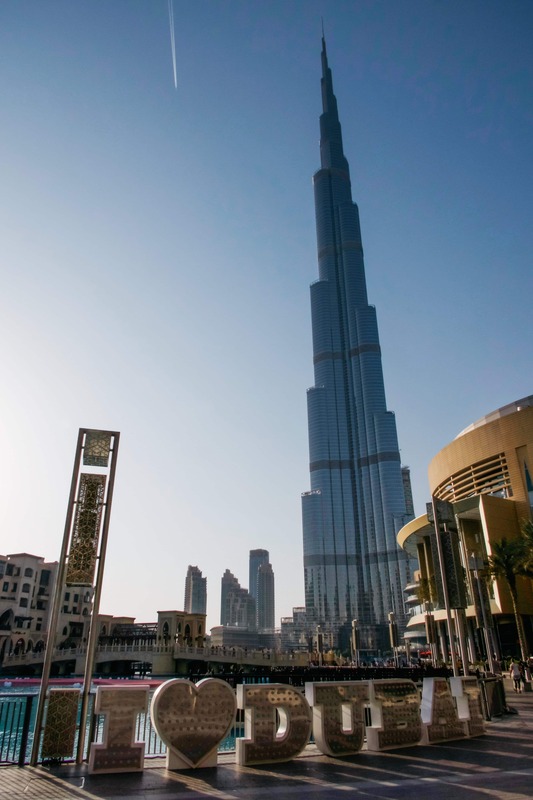 Building first began in 2004, and it was opened for tourists in 2010; it quickly became the biggest attraction in Dubai. 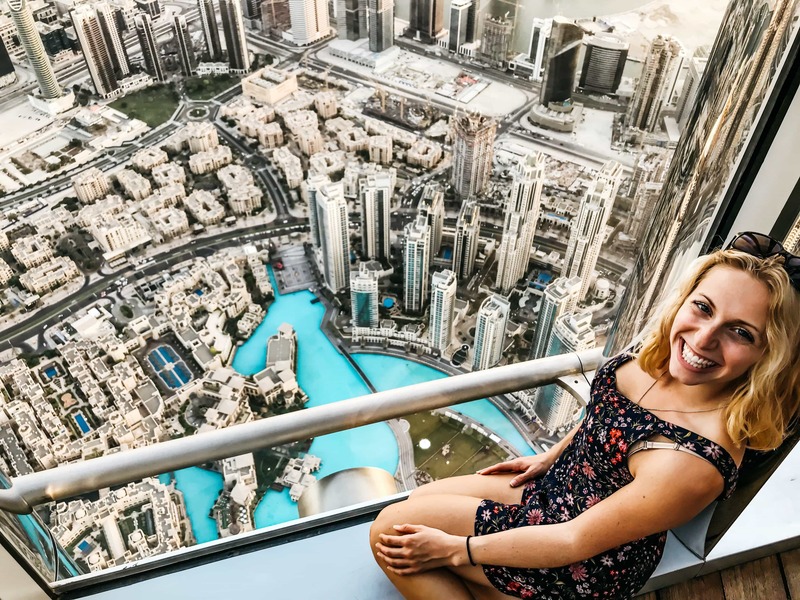 If you do one thing in Dubai, going to the At The Top Sky Lounge of the Burj Khalifa has to be it. You MUST Pre-book your tickets online though, and you could do so here. 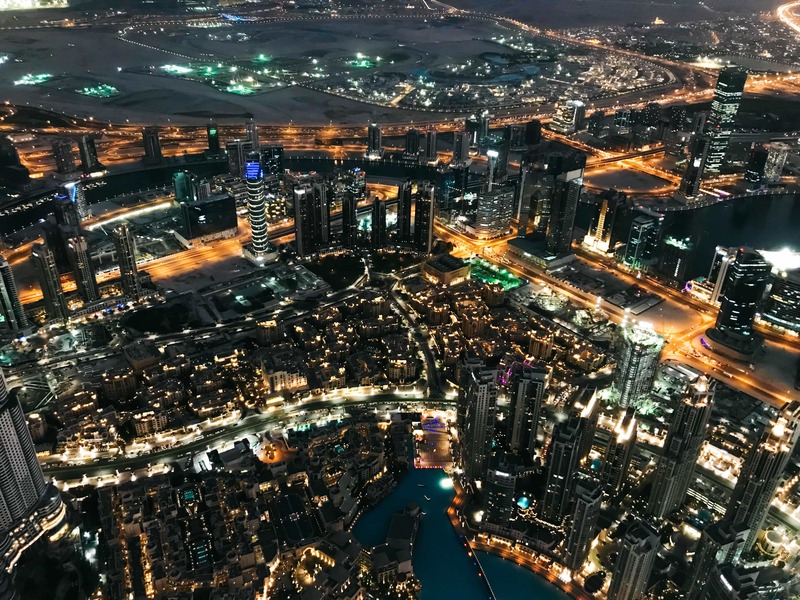 The Sky Lounge, on the 148th floor, is the highest place in the world from which you can look down on a city. After a brief introduction, we were guided to one of the fastest elevators in the world, operating at 10 meters per second. The entire building actually has 57 elevators and 6 escalators! The craziest part is that the Sky Lounge isn’t even the highest floor. 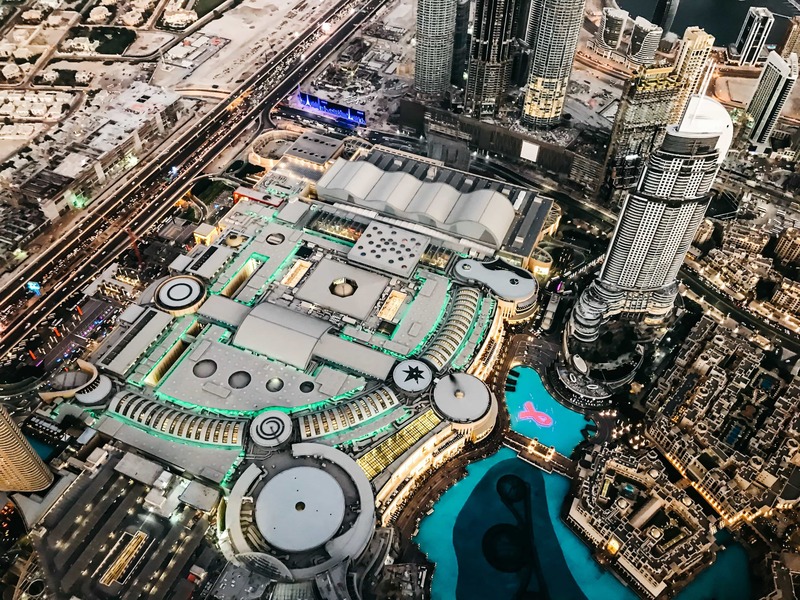 There are over 200 floors in the Burj Khalifa, but only 160 of them are occupied — with the 160th floor operating as a mosque. When Pre-booking your tickets, think about the time of day in which you want to visit. There is no time limit on how long you can stay up top observing the views once you show up for your time slot. 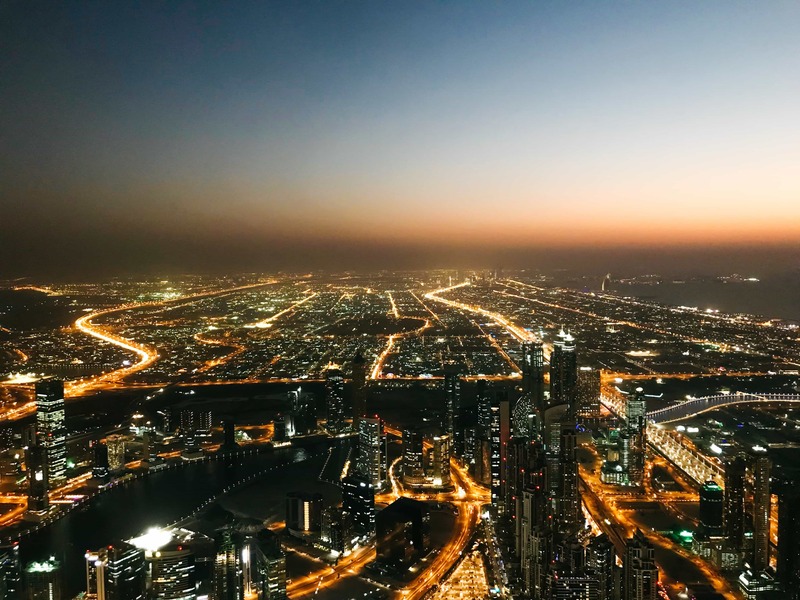 I knew that I wanted to see Dubai at sunset, and to watch the city then light up before my eyes, so we went at about 5pm. I recommend looking up what time the sun sets before you go and booking your tickets for about an hour before that time. The entire experience is a whirlwind! 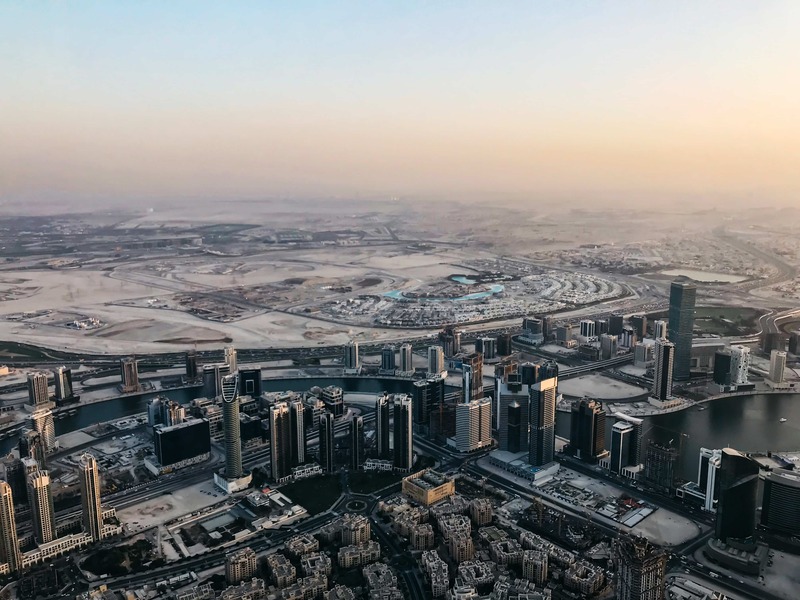 It’s an incredible feeling to be standing on the highest accessible floor for tourists on the highest building in the world, all while watching the sunset over the desert. Enjoy the views! 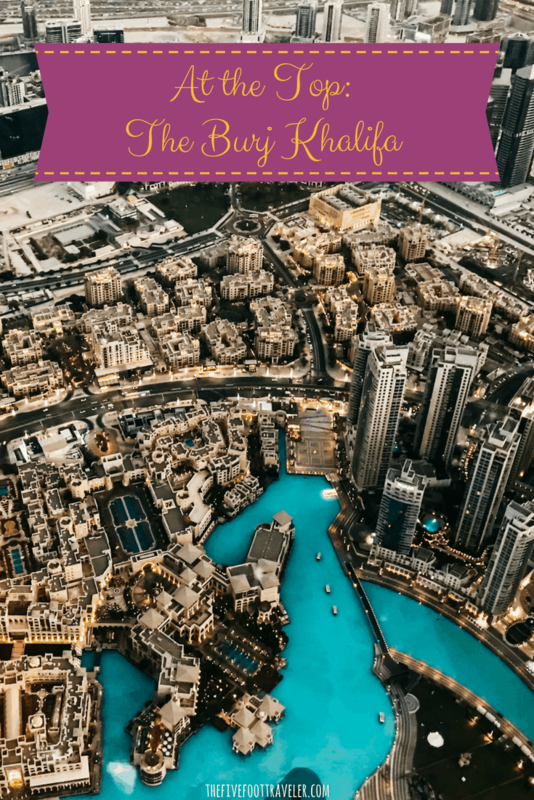 Interested in Visiting the Burj Khalifa? **Special thanks to At The Top, Burj Khalifa for sponsoring my experience. As always, all opinions are my own. A great lady at the top of the world. I hope you like heights and you don’t suffer from vertigo! It is an amazing experience with incredible views of all Dubai, The Palm, even the world islands. It has to be on anyone’s bucket list when visiting Dubai.